Marshmallow is the latest mobile OS from Android. As a leading mobile app development company India, we ensure that our developers are up-to-date; our team is well equipped to create apps using this OS. After all, nearly all Android devices released in 2016 will be powered by Marshmallow. Scanning what’s on the screen, Google Now On Tap displays extra, relevant info. You can use this anywhere – just long press the Home button. Imagine you’re reading an email about a restaurant: you will be shown directions to the place, the menu and you can call the restaurant from there. If you’re reading tweets about a celebrity, you will get links to their FB page, videos, and so on. This eliminates the need to toggle between apps and search pages. The improved voice control in Lollipop allows access without pressing buttons: just say “Ok, Google”! This has vertical scrolling, with an alphabetical, non-paginated arrangement. Icons can’t be hidden, and app folders aren’t allowed here. This helps faster navigation of large app collections. The search bar and shortcut ‘frequently used’ are useful for daily app use; the top row has icons of the apps you use most. Lollipop offers greater control over battery usage. Doze – a new feature shuts down nearly all activities, including background processes when in standby mode, saving even more power. The ART – application runtime – has been tweaked to reduce memory usage and improve performance efficiency. Some of the animations have also been altered to give a feel of greater speed. That’s good news for companies providing mobile application development services: the more the apps that can be installed, the better! Google has also tweaked some of the animations so it at least feels like it’s loading faster. Marshmallow’s app permissions scheme is far more robust as it displays a list of permissions for accessing contacts, storage, camera etc. Tapping any of these will display what apps have the access rights to it. The biggest change is however likely to be the system level support for fingerprint scanners, with Google adding official standardized support within the OS. 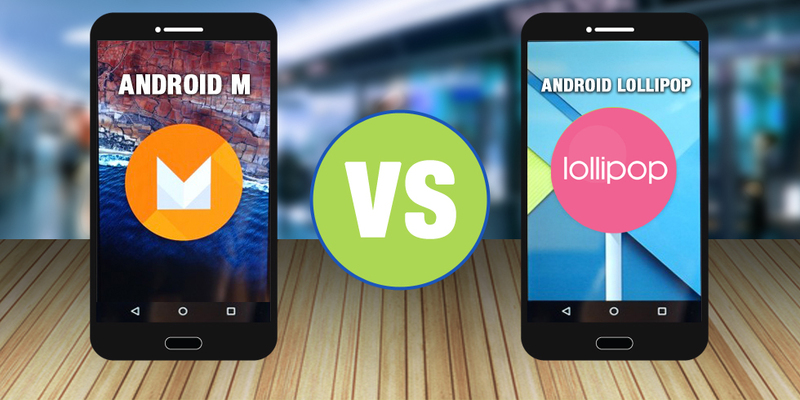 Compared to Lollipop, the updates are minor, but yet noteworthy. Though it’s early days, Marshmallow is certainly the best version of the Android mobile OS from Google yet. Contact Syosys Infotech Private Limited for Software Development Services in Kerala, India for your business. Call us at +91 9745337761 , 04902322232 for More Details!